The EU Water Framework Directive (WFD) has established new regulations for the registration and quality monitoring of water bodies. The concept of the directive is to introduce a holistic management approach, which brings together interdisciplinary scientific knowledge for the achievement of high water quality, and to ensure the creation of a harmonized coding system. To achieve this goal, Geographical Information Systems (GIS) provide adequate tools for the management, storage, visualization, and evaluation of environmental quality information, by combining water quality data with the classification of the risk for the water body, according to designated weights of influence of each selected parameter (such as geological morphology, sheer volume of the aquifer, point sources of pollution, and others according to the studied system). Furthermore, the integration of mathematical models in GIS can provide possibilities for the prediction of long term behaviour of a system under various scenarios of anthropogenic pressure. The aim of this chapter is the presentation of the latest applications and research concerning the use of GIS as an Information and Communication Technology (ICT) tool for environmental management and water quality purposes. Undoubtedly, water being one of the most “to the edge” topics of humanity, therefore it was more than necessary for the EU to provide a tool that can serve as a guide for the management of water resources and for decision making concerning issues related to water. The Directive 2000/60/EC (WFD) of the European Parliament and of the Council was adopted on 23 October 2000 and establishes a framework for the action in the field of water policy. The analysis of these goals and their implementation in policy making and management of water bodies are summarized in the present chapter. Whenever necessary a reference to the articles of the directive is made, for example article 3(4) meaning article 3, paragraph 4 of the Directive. Moreover, there are references concerning Water information Notes published from Water Information System for Europe (WISE), the central water data webportal of EU. Water quality monitoring introduces the need to manage vast volumes of analytical data, interacting under elaborate physicochemical laws. 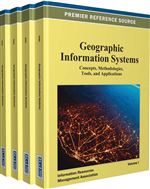 Geographical Information Systems (GIS) provide the means to incorporate a spectrum of raw scientific data into the visual and analytical tools of modern software, in order to provide a better understanding of how elements of natural communities interact across a landscape. It enables the examination of the multiple types of spatial data and the assessment of relationships between various types of water contamination and cross contamination. It is also useful in the estimation of the effect of localized or non-point sources of pollution. Such systems have been useful in the evaluation of quality change in surface and groundwater aquifers and in the development of models capable of evaluating environmental changes and assessing impact of detected pollution sources (de By, 2001; Longley et. al., 2005). Since the EU WFD requires the registration of existing water bodies and their environmental quality status, GIS is essential in order to manage the analytical data emerging from this task, to ensure the designation of the right areas of liability for the sustainable use of these resources and to offer risk assessment tools in extreme scenarios. This chapter, after a short presentation of the main aspects of WFD, is aiming to provide applications and results of the latest relevant research concerning the use of GIS as an ICT tool for environmental management and water quality purposes. In particular, it manages to pinpoint and give insight to the advantages that GIS presents in relation to WFD requirements and the ways that it can be incorporated as a tool for directive’s effective implementation.